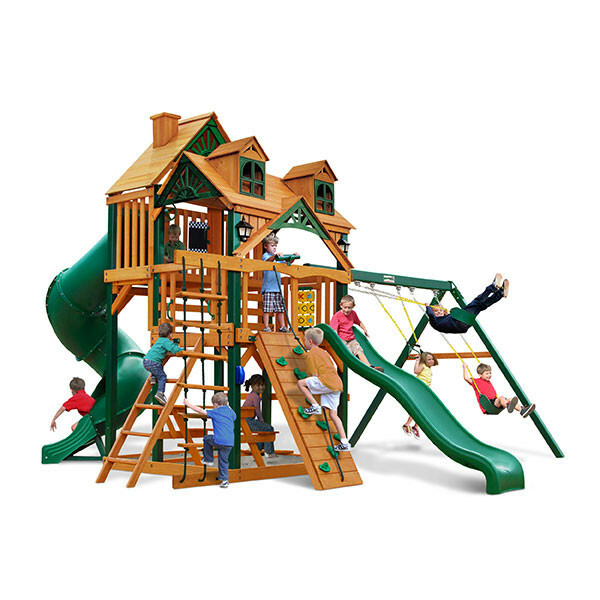 You couldn’t ask for much more than all of the fun features packed into the Gorilla Playsets Malibu Deluxe I. 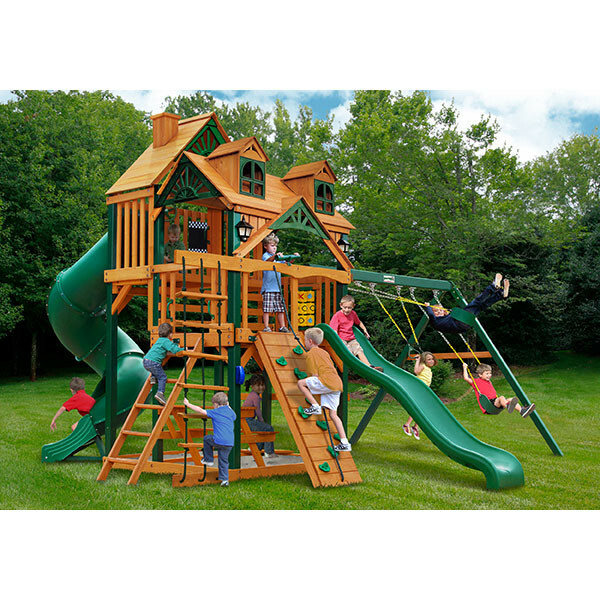 This wooden playset is built around a play fort that has two levels, one at 5’ high and the other 7’ high. Kids will really get their exercise climbing up to the fort using the rock climbing wall, safe entry ladder, or shimmying up the deluxe rope ladder. Once in the for they’ll find all kinds of cool things to play with including the tic-tac-toe panel, steering wheel, telescope, play telephone, and chalkboard kit. Sliding back to the ground is twice the fun since the Malibu Deluxe I includes a wave slide and a tall 7’ tube slide. Under the play fort kids can dig in the sandbox area or enjoy a snack at the built-in picnic table. There are three choices for swinging including a 2 person glider, a trapeze swing, or a basic belt swing. 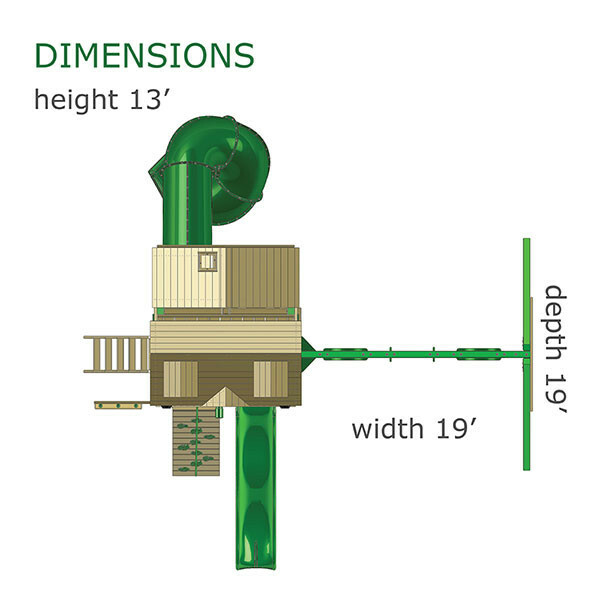 All of these great features come in a sturdy, ready-to-assemble package that includes all of the needed lumber and hardware for construction. The main beams and posts are all coated with a Timber Shield poly finish that makes the set more durable. The wooden roof with decorative sunburst designs, solar lights, and dormers with windows add an attractive finish.